While it might lack the wide variety of theme parks that the Gold Coast can offer, or may not have as many famous landmarks as the likes of Sydney, that doesn't mean Perth is lacking in activities and other things to do for those with kids – far from it, in fact. Perth's idyllic riverside location and distinct blend of blue and green make it a very “outdoorsy” destination with plenty of chances to take the kids away from the TV screen and experience some offerings in this great outdoors. One of the more unique and unforgettable – and it must be said, more expensive – activities for the kids near Perth is to take advantage of the city's great coastal location for a dolphin-swimming adventure with Rockingham Wild Encounters outside the city. Swimming with dolphins is often said to be one of those “must do once in your lifetime” activities for adults, and there's few better excuses to take the plunge and do it then taking the kids out for an epic adventure as well. Having built trust with the wild dolphins in the waters off the shores of Perth over the course of several decades, these tour operators know both the waters and the dolphins themselves like the back of their hands – they'll make you and the kids feel welcome and provide all with full safety equipment and briefings so that you'll be able to feel secure and simply focus on meeting these highly intelligent marine creatures face to face. "Swimming with dolphins is often said to be one of those “must do once in your lifetime” activities." Once you've travelled far enough from the shore the boat will anchor and you'll hop in the water where the dolphins will swim right up – they might be wild, but they're as friendly and tame as can be! Children ages 7 and older are welcome to join provided they are comfortable with swimming with a mask and snorkel; some prior experience with this sensation will both ensure their safety and allow them to get the most out of the tour, while special wetsuits that offer additional buoyancy are available upon request. Running from September to early June, these dolphin swimming tours depart from Rockingham and include pickup from a variety of locales including Central Perth, the Perth CBD and Burswood between 6:30am and 7:00am. The tour price sits at $205 per person if no transfers are required, with a jump up to $225 to include transfers from the Perth CBD and includes all equipment, lunch, tea & coffee for the adults and bottled water for the kids. Perth Zoo is just a hop, skip and a jump across the river from Perth CBD and is a great attraction to visit no matter your age. The zoo is home to a collection of animals all over the globe including some powerful African Lions, Giraffes, Asian Elephants, Rhinoceros, Zebra, Orangutans and Sumatran Tigers. Visitors who are more interested in Australian wildlife won’t be disappointed either with Bilby’s, the Australian Tarantula, an assortment of birds, reptiles, Dingoes, Emus, Crocodiles, Kangaroos and of course Koalas. The list is not exhaustive but you can guarantee that you will get your fill of wildlife with a visit to Perth Zoo. Spend half a day or an entire here and listen in to some of the informative talks, walks and presentations scheduled during the day. "Be transported to Africa for a day as you walk through the safari like environments and enclosures that have been lovingly created to care for and protect these endangered animals." Be transported to Africa for a day as you walk through the safari like environments and enclosures that have been lovingly created to care for and protect these endangered animals. Perth Zoo also offer exclusive behind the scenes encounters with a variety of wildlife here. Go eye to eye with zookeepers and enter the animal enclosures of Giraffes, Elephants, Dingoes, Rhinoceros, Orangutans and many more. Perth Zoo is open daily from 9am to 5pm and is easily accessible by public transport, bicycle, foot or for self-drive visitors. To make a day of it and combine sightseeing with entry to the Perth Zoo see this ideal package that includes tickets to the zoo plus a Swan River return cruise from Perth to Fremantle. This is a great money saving option that ticks off two must do Perth activities in the one day. In terms of wildlife-based activities in Perth, there are few better offerings the kids will enjoy more than making the ferry trip to nearby Penguin Island. The island has become relatively famous mainly due to its famously-cute colony of Little Penguins which are always a hit with the kids, and is fairly easy to access given its proximity to Perth. To get to Penguin Island you'll have to make the (roughly 45 minute) trip from Perth to Shoalwater and then take the short ferry ride across to the island itself. Ferries depart on the hour from 9:00am to 3:00pm (for a full brochure, click here) and tickets can either be purchased standalone per person (standard price for all, with kids being charged the same rate as adults – can be pricey!) or bundled with a penguin feeding package that will allow you to have a more intimate encounter with these cute creatures. The ferry ride itself, while short, is also quite scenic and always an enjoyable little burst of fun for the kids. "Once you arrive on the island, you'll get to see firsthand just how wildlife-rich the area actually is; penguins are far from the only animal attraction that can be found here." Once you arrive on the island, you'll get to see firsthand just how wildlife-rich the area actually is; penguins are far from the only animal attraction that can be found here, with seagulls, pelicans and even sea lions calling the island home. If you're looking to feed the penguins and have purchased the penguin feeding package, be sure to keep in mind that there are only three allocated time slots throughout the day (at 10:30am, 12:30pm and 2:30pm, respectively) so be sure not to miss out! The feedings are accompanied by talks/presentations that combine fun with education and allow the kids to get a close-up view of what are typically very shy creatures. If you have mad scientists of your own then bring them along to the Scitech Discovery Centre in Perth and let them explore and experiment at this educational and interactive centre. The centre has a range of exhibits and shows that allow children to expand their imaginations and pique their curiosity in science, engineering and maths. Not to be missed is the ‘Ignite your curiosity’ shows that feature bubbling beakers, exciting explosions, fireballs and all things chemical reactions. The show run at various times throughout the day last for 25 minutes and gives children a brief introduction into the world of science. "The centre has a range of exhibits and shows that allow children to expand their imaginations and pique their curiosity in science, engineering and maths." Scitech also houses a half dome Planetarium and kids can tour the universe and learn all about the planets or go experiment in the ‘Tinkering Space’. The centre runs special programs for children during the school holidays and visiting exhibitions throughout the year so that there is always something new and fresh for the kids to look at or play with. Tickets to the centre are around $20 and family tickets are available from $52. Scitech Discovery Centre Perth is open 7 days a week from 9.30am to 4pm weekdays and 10am to 5pm on weekends. Hillarys Harbour is one of the must visit locations in Perth and The Aquarium of Western Australia or AQWA is one spot you should not miss while you are here. The aquarium sits on the picturesque boat harbour just 30 minutes from Perth CBD. AQWA aims to educate visitors to understand and respect the local marine life and the importance of their role in the ecosystem. AQWA boasts incredible exhibits that allow you to wander around and view marine life through floor to ceiling underwater tunnels from which you can view the marine life of the Indian Ocean. The underwater tunnel brings you eye to eye with sharks, turtles, rays and one of the world’s largest living coral reef exhibits. "AQWA boasts incredible exhibits that allow you to wander around and view marine life through floor to ceiling underwater tunnels from which you can view the marine life of the Indian Ocean." Visitors should check out the schedule for a list of all the daily talks, feeding times and marine themed kids activities that introduce you to the underwater world. The aquarium is divided into five diverse discovery zones that are each replicated as close to a natural environment for each marine species. See marine life from the Far North, Danger Zone, Shipwreck Coast, Perth Coast and more. There is even a free story time toddler playground where young children can play colour in or pin in the outdoor facilities. AQWA is open 7 days a week from 10am to 5pm including public holidays but is closed on Christmas Day. Perth is home to numerous beautiful beaches, some of which are a surfer’s mecca. But if you don’t know how to surf, then don’t just sit on the beach and watch. Book a lesson with Perth Go Surf. You and your children can join in the fun with a 90 minute lesson conducted in a fun and safe environment with the goal to get you up on your feet catching your first waves in no time. Morning lessons are conducted at 7.30am and 9.30am and focus on giving you an introduction into ocean awareness, surf safety and of course all the surfing basics. With groups kept small, you can be sure that you or your kids will get all the feedback and personalised attention that you need to feel comfortable in the water and up riding your wave. "You and your children can join in the fun with a 90 minute lesson conducted in a fun and safe environment with the goal to get you up on your feet catching your first waves in no time." Lessons are conducted at Brighton Beach, a quieter beach, north of Scarborough with moderate size waves to give you the best chance of standing up on the board. Surf lessons are a tonne of fun and a great activity for the whole family to enjoy regardless of whether or not you have surfed before because these lessons are designed for beginners. Private lessons are available for those who want more assistance and really kickstart their surfing skills conquer the waves of Perth with guidance from professional surf instructors. Not only will you have fun with these surf lessons but you will walk away having learnt a new skill which for many turns into a lifelong hobby and newfound love for the ocean. If you have ever been curious about skydiving but didn’t quite have the courage to do the real thing then IFLY Indoor Skydiving is the next best thing. This incredible experience allows skydivers to experience a simulated skydive indoors in a safe and controlled environment. Experience the total freedom and euphoria of weightless and the feeling of flying here at IFLY Perth on a series of flight packages that will introduce you to skydiving. You will learn the basics first by watching a safety demonstration and then take flight all without having the fear of heights. These flights within the sophisticated wind tunnel will imitate for you a real skydive at 14, 000 feet indoors so you can try to comprehend what it may feel like in real life. "These flights within the sophisticated wind tunnel will imitate for you a real skydive at 14, 000 feet indoors so you can try to comprehend what it may feel like in real life." And unlike a real skydive, age is not a barrier as children as young as three can get suited up for a fun indoor skydive flight. An introductory flight package lasts for approximately 2 hours and includes 2 short flights within the wind tunnel in small groups. During your flight, you will float and master the flying skills under the watchful eye of your skydive instructor who may adjust your body position at times to ensure you are floating in the wind tunnel. Many people who join IFLY end up coming back for additional flights because they enjoy it so much. IFLY Perth is open from 9am to 9.30pm on weekdays and 8.30am to 9.30pm on weekends. This experience is popular so bookings are highly recommended. Segway tours are a fun way to explore the beautiful locations and landscapes of Perth, Rottnest Island and Fremantle. Segway Tours WA will take you on outdoor adventure to see Western Australia’s colonial and maritime past with some gorgeous ocean views along the way. Two tours are currently available to choose from including a 1.5 hour Fremantle Segway Tour of the iconic buildings, Bathers Beach and Fremantle Port. Cruise effortlessly through the city of Fremantle on these motorised two wheel segways as your guide points out the city highlights. The shorter 1 hour Fremantle tour will give you an insight into the pioneering history taking you past The Round House, St Patrick’s Basilica and Fremantle Prison. "Segway Tours WA will take you on outdoor adventure to see Western Australia’s colonial and maritime past with some gorgeous ocean views along the way." If you venture over to Rottnest Island, a 1 hour or extended 90 minute Segway tour will take you on a journey past Bathurst Lighthouse, picturesque Thomsons Bay, Paterson Beach and more. If you prefer to explore the city centre then a Perth segway tour will take you past the Swan River foreshore and popular city landmarks. All segway tours are suitable for riders over the age of 12 and are a fun way to learn about the history of the city and see the popular landmarks while spending some quality time together with the family. No experience is needed on these easy to use segways. All riders will be given a training session and be shown how to handle a segway before setting off on your segway adventure. You can join these Fremantle segways tours daily at 10am and 1.30pm for a morning or afternoon Perth sightseeing activity. Perth is the only place in Australia where you can take a tour through the inner city on a gentle camel ride. You’d be hard pressed to find a child who doesn’t love animals and the outdoors so these camel rides by Camel West are the best of both worlds. Sitting atop these friendly and docile camels the whole family can join in and enjoy a stroll along the banks of the Swan River and Elizabeth Quay taking in the city and learning about the history of Western Australia. The camel ride tours lasts approximately 30 minutes and the camels are led by guides so there is no need to feel nervous about trying to steer yourself through the city dodging pedestrians. The Perth City tours run from September to May but in winter the camel tours will move to Exmouth from June to September where riders can enjoy a scenic ride along Town Beach in Exmouth. Warm up during the cooler months with a lazy afternoon or sunset beach ride along the shoreline. Sitting on top of these camels gives you a different perspective of the city that you pass and a great vantage point to soak in the amazing views on either the city tour or the Exmouth beach camel ride. The camel rides offer a unique touring experience of Perth and indeed Australia through Elizabeth Quay and the Swan River. As riders tour the city, guides will explain how camels played a significant role in the development of Perth during the mid 1800’s and early 1900’s whilst viewing the modern city. Camel Rides are available in the morning from 10am and are an entertaining and budget friendly way to tour the city and enjoy the outdoors. Adventure World Perth is Western Australia’s only theme park and it packs a punch with a variety of attractions to suit everyone! The hybrid park is part theme park, part water park and part wildlife park making it a great place to take kids for the day regardless of their age. Opening in Perth 1982, Adventure World still features some of its iconic attractions as well as significant investments into new and exciting rides and attractions. Visitors will find an assortment of rides to suit both the adrenaline seeking teenagers and adults but if you have juniors with you then head to the child friendly section of the park with 8 rides and other park attractions to keep the little ones happy. "The hybrid park is part theme park, part water park and part wildlife park making it a great place to take kids for the day regardless of their age." If it is a particularly hot day in Perth then you can expect to find the Oceans of Nautica waterpark busy. Relax and play in the giant lagoon or have fun in the sun racing your kids down on the aptly named ‘Woohoo speed slides’. Share in the fun on the water raft rides including the Tunnel of Terror, Sea Serpents and Tidal Wave or the Kraken funnel slide which happens to be the longest, steepest and tallest funnel slide on the planet with stomach dropping twist and twists that defy gravity. With plenty of shady areas and cabanas available for hire, Adventure World is a great place for the whole family to relax on a hot day. Adventure world is also home to a wildlife park and a go kart track all housed in one theme park giving you bang for buck from your admission ticket. See Australian wildlife here including Kangaroos, Dingoes, Emus, Wombats and of course the beloved and iconic Australian Koalas. While you are in this section of the park, be sure to catch a wildlife keeper show on weekends and public holidays to learn more about Australia’s native wildlife. The park has a number of food and beverage outlets serving delicious food including vegan and gluten free option. If you want to save a few dollars you are welcome to pack a picnic here. Adventure World is approximately 25 minutes drive from Perth CBD but public transport is available via the Mandurah Train line to Cockburn Station and the 520 bus to the park. The park operates seasonally between September to April with opening hours varying throughout the year. Please check their website for up to date opening times. Perhaps Australia's most underrated capital, Perth boasts a vibrant, modern atmosphere, pleasant weather and some outstanding natural surrounds - it's a great all-round city for visitors from interstate and abroad. With an idyllic location that puts it in a position to garner the best aspects of coastal living and scenery combined with a neighbouring wine region and some incredible geographical formations nearby, Perth is something of an unsung hero of Australian sightseeing with numerous opportunities for unforgettable Western Australian day trips on offer as well. The most isolated capital city in the world, Perth is full of great things to do both in, around and outside the city. It's full of quality park land and bordering Aussie bush that adds a layer of greenery that other capital cities lack. From distinct wildlife offerings, stunning neighbouring islands and a thriving dining culture, Perth has something to offer all ages and interests. 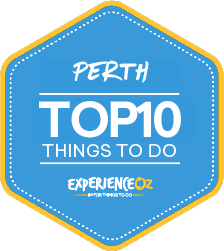 We take a detailed look at the Top 10 Things to do in Perth below. One of the most peaceful ways to explore Perth’s west coast is with a scenic dolphin sightseeing cruise or swim off the WA coastline with Mandurah Cruises and Rockingham Wild Encounters. The picturesque coastline boasts some of the most beautiful and healthiest beaches and waterways in the country which naturally attract an abundance of marine life. Mandurah Cruises offer scenic sightseeing cruises which double as a wildlife cruise with informative commentary as you journey past luxurious waterfront homes and historic sites. Within minutes of heading out on the water you will encounter pods of dolphins darting enthusiastically in and out of the water swimming alongside the boat. "Within minutes of heading out on the water you will encounter pods of dolphins darting enthusiastically in and out of the water swimming alongside the boat." It is estimated that there are up to 100 bottlenose dolphins living in the coastal waters off Mandurah so while sightings are not guaranteed; your chances of seeing dolphins are extremely high. The cruise will also travel past the internationally recognised wetlands which are home to several different bird species including Pelicans, Osprey and rare North Asian Migratory birds during October to March. Passengers can choose between a 1 hour or 1.5 hour cruise and if you feel peckish there is an on board bar for lunch and refreshment purchases. Rockingham Cruises offer swimmers the unbelievable opportunity to actually get in the water and swim with the dolphins in the sheltered waters of Rockingham once they have been sighted. These gentle and curious creatures are just as fascinated by humans as we are of them and will hang around to check you and the boat out. Rockingham Wild Encounters offer longer 3 to 6 hour wild dolphin cruises with all snorkelling equipment, wetsuits and a light lunch included in your unique wildlife encounter. Scenic dolphin cruises and dolphin swimming adventures are an incredible activity that are suitable for all ages to relax and take in the sights and view dolphins interacting in their natural habitat. Make your visit to Perth an unforgettable one with these once in a lifetime Dolphin Swims and cruises. 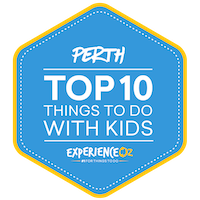 This is our top thing to do in Perth because this is an activity that you will be talking about for a very long time. Western Australia is a massive state that's home to some of the country's most beautiful spots, but there are few that can compare with the raw blend of striking colours, impressive lookout points and hidden golden coves of the amazing Rottnest Island. With pristine sands and vibrant waters reminiscent of the Whitsundays, combined with truly unique wildlife on both land and sea all within easy reach of Perth. Residents of WA's capital are truly spoiled having such an idyllic spot just a short distance from their city – it sits just 19km off the coast of WA. The island offers a cavalcade of things to see and do, and the mere act of exploration of its approximately 11km-long expanse by boat, bike or foot is an adventure unto itself. Known as 'Rotto' by locals, the lure of Rottnest Island all starts with the quality of the surrounding water. It's not only pretty to look at but generally both calm and quite warm in all but the coldest months of the year due to warm water currents, which in turn leads to ideal conditions for marine life and coral to make the island their home. This results in some great off-shore snorkelling opportunities with more than 135 species of tropical fish as well as the likes of Green Turtles found within mere metres of the shore. "This results in some great off-shore snorkelling opportunities with more than 135 species of tropical fish as well as the likes of Green Turtles found within mere metres of the shore." Meanwhile on the island's more rough and rocky side, Fur Seals can be seen lazing in the sunshine and dipping in and out of the water while Humpback Whales can also be spotted during their annual migratory season from September and November. It's a wonderful display of marine life that extends onto the shore as well, with what is probably Rottnest Island's signature calling card, the Quokka. A small, furry and photogenic marsupial, the quokka is extremely rare and has managed to survive over the years due to a lack of major predators on the island. Outside of wildlife, the island boasts an array of other activities and ways to pass the time. Cycling on Rottnest Island makes for a popular and reasonably priced way for getting around (bikes are available for hire on the island). Those looking for some quality walking tracks will be spoiled as the island's extensive 50km Wadjemup Walk Trail walking track spans a wonderful, scenic path through some of the island's key points including natural and historical attractions. Boardwalks on the west end of the island, a track overlooking Henrietta Rocks and its shipwreck, and panoramic views from Vlamingh Lookout are all-must do's for visitors who don't mind investing energy in a walk, and all have significant payoffs. Other, family-oriented facilities such as a fun park, mini-golf and aqua park combine with the wildlife to make Rottnest Island a day out that's great for families as well, so you'll never be short of things to see on your visit. Getting to Rottnest Island is doable with two quality companies in both Rottnest Express (departing Fremantle and Perth) and Rottnest Fast Ferries (from Hillary's Boat Harbour). Both operators offer standalone transfers to the island as well as as bundled tour packages which include the likes of bike hire, on-island accommodation, snorkel gear, guided bus tours or wildlife cruises, meaning you'll be able to make your trip to Rottnest as comprehensive – or budget conscious – as you wish. The trip takes approximately 1.5 hours when departing from Perth (the ferry has to cruise slowly down the Swan River before heading into open water) and 25 minutes from Fremantle (available only with Rottnest Express). One of Australia's most scenic and thoroughly enjoyable spots that's not ridiculously expensive to enjoy, Rottnest Island is an absolute must on any Perth travel itinerary. Scenery and wildlife aren't the only calling cards of the Perth region, food, dining and quality culinary experiences also play a large role in the city's overall identity. This is perhaps best exemplified by the region's verdant Swan Valley. Dubbed the 'Valley of Taste', the Swan Valley is fueled by the waters of the Swan River, serves as one of the key locales for fresh produce in Western Australia and is a haven for foodies and wine aficionados alike. The region is famed for the quality of more generic offerings such as its cheeses, wines, fresh fruits and more as well as more specific products like spreads, chutneys, scones, olive oil, honey and craft beers, making a trip here a true delight for the taste buds. As a result, it's home to a range of food and beverage based attractions that run the gamut of all-things-culinary. Here you'll find award-winning wineries, breweries, bakeries and more abound, with over 150 individual spots ranging from small boutiques to renowned national brands on offer. Couple this with the fact that the region provides a pleasant dose of green scenery, with rolling hills and vineyards stretching as far as the eye can see, and it's a destination that's almost as much a feast for the eyes as it is the palate. "The region is famed for the quality of more generic offerings such as its cheeses, wines, fresh fruits and more as well as more specific products like spreads, chutneys, scones, olive oil, honey and craft beers, making a trip here a true delight for the taste buds." If you're looking to relax and indulge while in Perth, the Swan Valley should be near the top of your list. While it's possible to do a self-driving tour of the Swan given its relatively close proximity to Perth city – roughly a 25-minute drive from the CBD – the fact that you'll likely want to sample multiple wines or beers during your visit makes a tour a highly recommended option. It's here that local Perth operator, Swan Valley Tours, come in. Offering a range of great coach tours and cruises to local wineries with tastings and lunch. These tours aim to provide visitors with a good sampling of the region and have been fine-tuned down to a tee so that everything is perfectly organised. The tour hosts have great relationships with the businesses visited along the way, and with a cheerful overall atmosphere, very solid value for money, and both morning and afternoon departure times available, there's no better way tour the Swan Valley without having to monitor your alcohol intake than this. Surfing is one of the most popular water sports in the world and you can join in on the fun with a surf lesson run by Perth Go Surf. Perth Go Surf operate group lessons for adults and children or one on one private lessons all aimed at beginners or those who may have begun their surfing journey but need some helpful pointers to master the basics. Perfect your surfing skills and learn about surf safety and ocean awareness under the watchful eye of surf instructors who love nothing more than to share their hobby with new surfers. The passion of the surf instructors shine through as they work hard to ensure that everyone has a good time and is up on their feet on their very first lesson. "The passion of the surf instructors shine through as they work hard to ensure that everyone has a good time and is up on their feet on their very first lesson." The only thing you need to bring along for a surf lesson is swimwear, a towel and an ability to laugh at yourself because nobody magically catches a wave on the first attempt. After a surfing lesson with the pro’s you can take your newfound skill on any beach holiday around the world and perhaps turn it into your new favourite hobby. Surfing lessons typically last for 90 minutes and cater for all ages and abilities in small group sizes. Group surf lessons are available at 7.30am, 9.30am and alternatively private lessons can be booked in for mid morning or afternoon from Brighton Beach or Leighton Beach in Perth. The greater Perth region is blessed to be home to quite an array of stunning little islands located not too far from the city (another of which you'll encounter further down this list), however, if you're the type of person who loves wildlife then you'd be hard-pressed to find a better spot to spend a day near WA's capital than the iconic Penguin Island. Located within the Shoalwater Islands Marine Park, roughly 45 minutes to the south of Perth, the island derives its name from the 1,000 Little Penguins who call it home. When combined with the extensive array of other wildlife in the surrounding waters, rocks and beaches such as sea lions, stingrays, pelicans, dolphins and more, it's a true delight for those looking to see these creatures in their natural environment rather than the confines of a zoo. Penguin Island is easily reached with a short yet scenic 5-10 minute ferry ride provided by operator Rockingham Wild Encounters and makes for a highly accessible one-day escape for local Perth residents as well as an essential stop for wildlife lovers travelling to the region. Birds also feature prominently here and with over 50 species of birds in various states of flight, nest and rest it's something of a birdwatcher's delight. The physical beauty of the island is no slouch, either. The picture-perfect, turquoise waters make for a wonderfully colourful and vibrant environment, and there are a range of lovely little beaches around the island that provide change for plenty of other marine activities. Snorkelling, surfing and swimming are all popular here, and the sheltered nature of the island's beaches provide great conditions and levels of visibility for each of these. "When combined with the extensive array of other wildlife in the surrounding waters, rocks and beaches such as sea lions, stingrays, pelicans, dolphins and more, it's a true delight for those looking to see these creatures in their natural environment rather than the confines of a zoo." Those wanting to explore without getting wet can choose to take part in one of Rockingham Wild Encounters' glass-bottom boat cruises as well, which provides a veritable window into the many colourful charms of the underwater world awaiting below. If you're looking to explore the island on foot, there is a timber boardwalk around the island that will take you to secluded coves, penguin colonies and beautiful lookouts. All of this is, of course, wonderful, but it's the Little Penguins themselves that are the stars of this natural attraction. Unfortunately, due to both their shy nature and offshore feeding habits, your best bet to see them up close is by paying a visit to the island's Discovery Centre. One of the focal points of the island, the centre provides more detailed information on the penguins and allows visitors the opportunity to see them being fed for a small fee. Perhaps the only downside to Penguin Island is that it's closed to visitors during the winter months (June – August), so if you're wanting to visit be sure to schedule your trip accordingly. One of Australia's best examples of wildlife uninhibited by cages this side of the Great Barrier Reef, Penguin Island is yet another standout amongst the Perth region's extensive array of things to see and do. Australia is known worldwide for some truly outstanding and distinctive geographical and rock formations, and in Western Australia, there are few more distinctive places than the eerily astounding Pinnacles Desert in WA's Nambung National Park. Renowned for its mixture of both vivid red-orange grains of sand and moon-like rocky limestone formations, the Pinnacles has been a staple of postcards and calendars depicting Australia's physical diversity for decades. This is all with good cause as it's a relative one-of-a-kind landscape unmatched anywhere else in the country. Consisting of a variety of massive individual blocks of varying sizes – with some measuring up to 4m high – scattered at random through the desert, the Pinnacles sit around two and a half hours' drive from the centre of Perth via the Indian Ocean Highway and make for one of the most popular day trip destinations. While it's not technically in Perth, the fact that it's one of the most photogenic destinations in Australia makes it an essential for first-timers to the region. The way the blue of the sky contrasts with the desert below is entrancing, and when combined with the outstanding views of the ocean in the distance, it's a spectacle that has to be seen to be truly appreciated. "Renowned for its mixture of both vivid red-orange grains of sand and moon-like rocky limestone formations, the Pinnacles has been a staple of postcards and calendars depicting Australia's physical diversity for decades." Assuming you're blessed with good weather during your trip, hanging around for sunset is a must if you've put forth the effort to make the trip out. In terms of getting there, both guided tours and self-drive options are available, with a sealed road that leads into the mouth of the Pinnacles themselves. If you're driving yourself, keep in mind there's an entry fee for the park. Once inside you'll have the option to explore the walking or driving tracks, with the car track being roughly 4km in length and providing a great overall view of the middle of the formations. The various walking trails take you on different routes through the Pinnacles allowing you to get up close to the rocks. Tours of the Pinnacles from Perth are typically conducted aboard purpose-built off-road buses that are designed to be able to navigate on the sand. While in the region you can explore nearby attractions and activities such as sand boarding and visit Caversham Wildlife Park. The Pinnacles also has a designated Discovery Centre that provides a window into the history of the formation of the Pinnacles and offers visitors the chance to pick up some souvenirs, however, if you're planning a sunset visit bear in mind that the centre closes at 4:30 pm. Skydiving is another one of those unbelievable once in a lifetime activities that many people talk about but never actually get around to do. If you have ever thought about going skydiving then Perth is one of the most beautiful locations in Australia to take a leap of faith and Skydive Rockingham love nothing more than to make your wish a reality with a tandem skydive at 15, 000 ft.
Push yourself outside of your comfort zone and conquer those fears of heights or chase the ultimate adrenaline rush with this exhilarating skydive experience. Skydives are conducted 45 minutes away from Perth and a few very brave skydivers will be treated to views of Shoalwater Islands Marine Park on your brief flight back down to earth. This is one activity that is sure to get your adrenaline pumping with a 60 second free fall out of the airplane once you take the leap with your experienced skydive instructor. "Push yourself outside of your comfort zone and conquer those fears of heights or chase the ultimate adrenaline rush with this exhilarating skydive experience." Experience eye watering speeds up to 200 km/hr as you take an extreme flight over the waters of WA. Before you know it, your tandem skydive instructor will release the parachute at a safe altitude and you can relax and take in the views on a more slower paced flight to the drop zone. Skydivers will enjoy a pleasant five to seven minute flight floating in the sky under the canopy before landing at Rockingham Naval Memorial Park beside the beach. Unbelievable ocean views of Penguin Island, Garden Island, Rottnest Island and bragging rights await those who dare to book in a skydive in Perth. This is the closest beach skydive to Perth CBD and one of top 10 must do activities in Perth. If you have ever wanted to experience the sensation of flying but weren’t keen on heights then Jetpack Perth is one activity that you must try. Strap yourself in for a water sports aerial adventure in a safe environment that will have you flying up to 10 metres in the air over calm waters. Don’t worry if you have never tried it before- most people haven’t. This new water sports activity launched in 2012 and is gaining in popularity. Once you have mastered the basic skills it will be hard to wipe the smile off your face. The Jetpack derives its inspiration from James Bond. This futuristic flying unit allows users to fly into the air propelled by the power of the water through a 20 metre hose attached to the jetpack. "Jetpack adventures derives its inspiration from James Bond. This futuristic looking activity will propel flyers up to 10 metres into the air above water with the power of water hoses and clever engineering." Users are strapped into the jetpack by a 5 point harness and with the help of 2 hand controls riders can steer left, right and up and down. Jetpack riders from the age of 16 can take part in solo flights that will no doubt leave you wanting more flights. Introductory sessions lasts for 30 minutes with a 15 minute training session and 15 minutes flight time with your instructor communicating with you throughout the flight with communication helmets to help you finesse your flying skills while you are in the air. Riders can fly up to 10 metres into the air powered by a 180 horsepower Yamaha Jet Ski engine for a unique water sports experience. Jetpack Perth operates from Rockingham Beach Perth from 9am till 5pm daily and bookings are recommended. Cottesloe Beach is one of Perth’s most popular beaches in Western Australia with swimmers, snorkelers, surfers and walkers all flocking to the shores. The beach stretches more than a kilometre in length and is an ideal spot to visit with warm temperatures all year round. Every city has its iconic must visit locations and for Perth, Cottlesloe Beach is one of the must see sights. The picturesque beach with pure white sand and turquoise blue waters is approximately 20 minutes from Perth CBD and easily accessible with public transport. "Cottesloe Beach is the place to see and be seen in Perth. This pretty beach offers a much needed relief from the summer heat and is a great way to unwind and spend quality time with loved ones." Pack a picnic and spend a day here with family or friends relaxing by the shoreline. Visitors can even head out snorkelling at North Cottesloe beach right in front of the surf club. Cottesloe Beach is surrounded by grassy knolls and shaded areas to enjoy the ocean views in between swimming in the crystal clear waters. A day at the beach is a great way to unwind and spend some quality time with family and friends and best of all it is easy on the wallet. To reach Cottesloe Beach, simply catch a train from Perth Station to Cottesloe Beach Station or a bus from Elizabeth Quay. Combine sightseeing and delicious gourmet food and join Captain Cook Cruises on the Swan River for an Perth Dinner Cruise and an evening to remember. See Perth’s skyline light up the night sky after sunset with a 3 hour evening cruise, buffet dinner and desert plus complimentary beer, wine and soft drinks. Live entertainment and a fully stocked bar await you so that you can dance the night away or toast to a special celebration or occasion. Enjoy the sights of the Swan River as you cruise around the city with plentiful food and wine. During the course of the cruise you will be served a delicious hot and cold buffet dinner which includes a range of fresh salads, prawns, bread rolls, slow cooked roast beef, steamed king snapper, butter chicken, a pasta dish, baked vegetables and steamed rice. "See Perth’s skyline light up the night sky after sunset with a 3 hour evening cruise, buffet dinner and desert plus complimentary beer, wine and soft drinks." For dessert, are a variety of cakes and a tasty seasonal fruit platter. Captain Cook Cruises take care to cater meals inclusive for vegetarians, vegans and gluten free meals. A river cruise is beautiful during the day but to see the city skyline all lit up at night adds a magical touch to the experience. The Perth dinner cruise departs on Friday and Saturday night during June to August and Thursday, Friday and Saturday nights between September to May from the Barrack Street Jetty. Whether you are new to the city or are celebrating a special occasion with your partner or family, the Perth dinner cruise is one of the Perth’s must do activities.